It's been a tough month here at Initial Reaction. First, I was unable to make the early screening of Logan to kick off the month leaving me to miss our scheduled filming time for the review. The next week went smooth enough until our editor decided to try something different without consulting us first and then deleting the footage as soon as the review was uploaded with no option but to leave the review as is. Then, the weekend of what would ultimately turn out to be the biggest release of the month if not one of the biggest movies of the year in Beauty and the Beast saw our camera and review footage get stolen. I've since filed a police report in (admittedly desperate) hopes of retrieving the camera and maybe even possibly the footage. I know that will never happen, but one has to have some kind of optimism when the thought of someone simply picking up your property and taking it as their own does nothing but irritate you more the more I think about it. 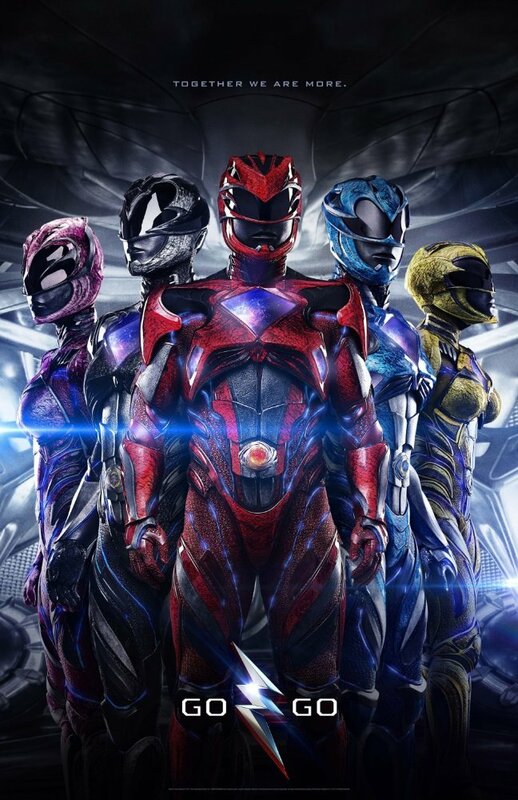 This brings us to this most recent week where I was once again unable to make it to the B&B Chenal 9 & IMAX theater in Little Rock in order to review the re-boot of the much-loved 90's TV series that was Power Rangers. Being out of town for my grown-up job I was still able to catch a screening of the movie Thursday evening, but for our video review Charles was able to recruit his good friend Tim to fill in for me and I couldn't be more appreciative to both of these guys for making this happen. I'd been looking forward to Power Rangers for some time and was happy to finally see the film and happy to see it turned out, frankly, better than I expected. With an estimated $40.5 million from 3,693 locations the film delivered on the high end of pre-release tracking with opening day audiences giving the film an "A" CinemaScore and audiences under the age of 18 scoring the film an "A+". This bodes well for the kind of legs Power Rangers might have over the next few weeks as the Spring blockbuster season continues this week with the release of Ghost in the Shell which, God willing, we'll be reviewing. Until then, be sure to follow us on Instagram, Twitter, and subscribe to our YouTube channel as we have a new review (or reviews) up each week! Read my full Power Rangers review here.